As the country celebrates our 150th birthday, citizens are reflecting on what represents their nation. Famous for our wild animals, Canada has been ‘led’ by the beaver since 1975. But is the slap happy rodent really the best candidate for the job? He’s been stumping for so long, perhaps it’s time for a change. With a highly developed sense of smell, impressive eyesight and intelligence, it might just be the grizzly that can bear down on Canada’s concerns. Skoki in his Calgary Zoo home. This species keeps up with favourite Instagram trends- why this powerful predator could easily qualify as the nation’s foodie! The grizzly bear’s menu is highly nutritious—70 to 80 per cent is made up of berries and plants, while the rest includes everything from ground squirrels to goats, salmon to sheep, with à la carte options listing caribou, moose and elk. That’s quality local food blog material! Grizzly Bears and wolves compete for live prey and carcasses, and steal food from each other, but the grizzly’s main threats are human related. Habitat fragmentation and disturbance, collisions with vehicles and human habituation, where they can become “problem bears”. 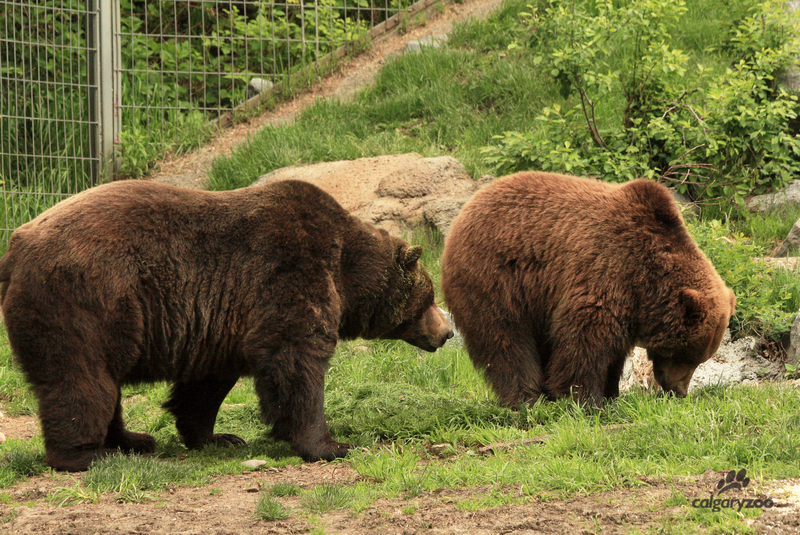 Like the Calgary Zoo’s famous grizzly male Skoki, bears that are drawn to human food can become ‘lost’ when they continue to have dangerous interactions with people. 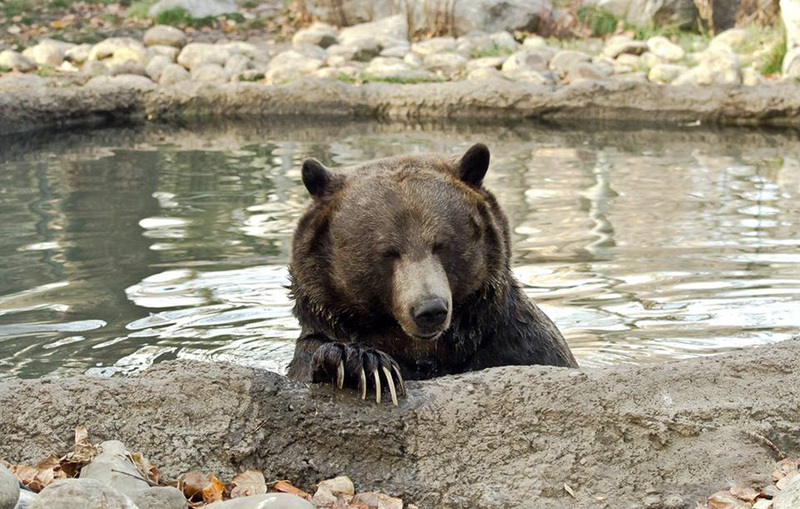 After numerous run-ins with Parks Canada, Skoki was brought to the zoo as a last effort to avoid putting him down. While he’s thrived here in Canadian Wilds since 1996, Skoki’s genetics are lost to the bear population forever. We want to keep this burly bear around! 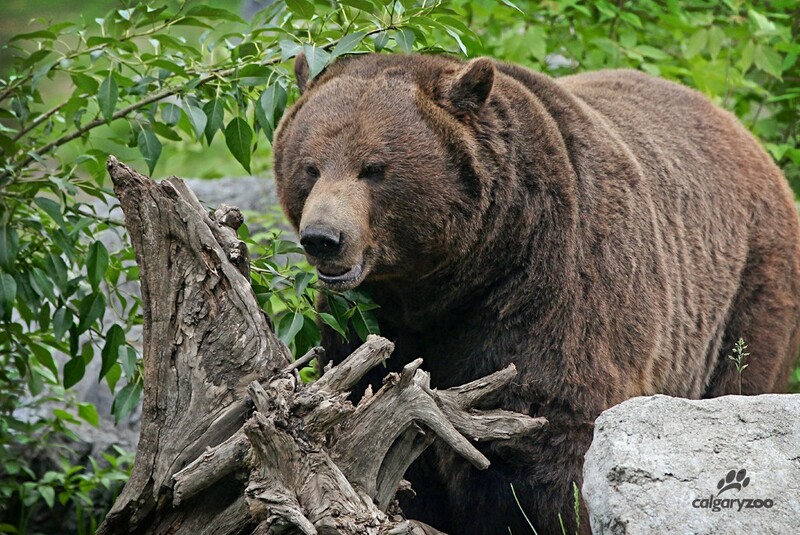 A canuck classic, grizzlies in Canada can be found anywhere in Alberta, British Columbia, the Yukon and the Northwest Territories, sometimes wandering many hundreds of kilometers in search of food. A vote for the grizzly bear is a vote for our pioneering spirit, our lack of fear and love for “all-you-can-eat” specials.